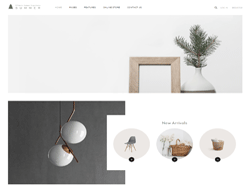 Summerv2 is a beautifully crafted, clean and minimalist eCommerce Joomla template which has been built with a multi-concept design in mind. It is a fully responsive Joomla template built on the slick warp7 framework. The responsive design makes it suitable for all screen resolutions. This template requires no framework plugin to be installed in order for it to work. The stylish and easy to use admin panel together with a wide range of customizable features enables the creation of an elegant looking site. This template comes with unlimited Google fonts for the header (all fonts are included in the template thus suitable for both intranet and online projects), body and menu, unlimited background and text colours, template width settings, menu column width setting, module arrangement and layout settings via the admin panel and so much more.